B.M. in Music Management from University of Delaware. Over 10 years performance experience including The B-Side Band, Society Ills, Soothsayers, and University of Delaware Classical Guitar Ensemble. Over 4 years teaching experience. 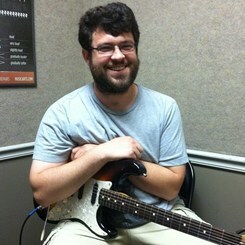 Teaches all genres, improvisation, music theory, and ear training. Request Lessons with Anthony Sloan today!